2016 repress. "Wonderful, rare Davis recordings. 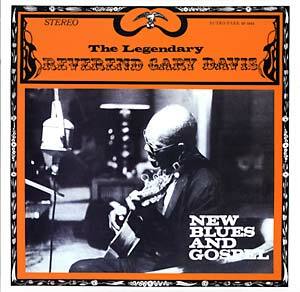 The sessions that created New Blues And Gospel were the last before Reverend Gary Davis' death and feature the only studio version of 'Whistlin' Blues.' This album was never released in its original form on CD and some of the tracks are not available anywhere else. One of the finest releases by one of the best blues guitar pickers." On 180 gram vinyl.